Dorian paints a painting that calls something from beyond the grave. The painting forces Macy, Lauren, and Tom to confront the traumatic death of their friend Angeline, who drowned in a swimming pool eight years prior. Evelyn is a new director and dramaturg from Calgary, Alberta. 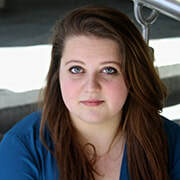 She attended the Randolph College for the Performing Arts and, immediately after graduating, turned her focus to directing and dramaturging feminist works. Her latest show, Hexen by Caleigh Crow, received rave reviews in the Toronto Fringe and is in the works to become a full length musical. Other credits include dramaturgy for The Weavers at Randolph College, Alive by Roy Hamilton III, and Bang Bang Shoot Em Up by Bob Wiseman. Directing and producing: Girls, Girls, Girls: A Celebratory Girl Band Cabaret, Home Town Glory, and Cabra Kedabra by her own theatre company, The Creation Coffin. 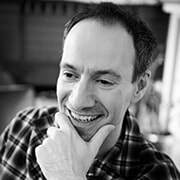 Matt is an actor, writer, and director who is no stranger to NIF. He made his on-stage debut in Toronto in From Here, to There, and Back Again during NIF 2011. 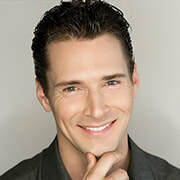 He has appeared on various networks including USA, Disney XD, Space, SyFy, CTV, and CBC, as well as appearing in national commercials and lending his voice to several projects. He has performed on the Alumnae mainstage many times, most recently as Rev. John Hale in Alexander Showcase Theatre’s production of The Crucible. He writes and directs his own short films and has several projects currently in development. 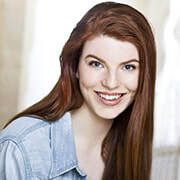 Marley is an alumna of both Randolph College and Brock University’s Dramatic Arts program, as well as of Queen Margaret University in Scotland. Her recent stage credits include Shotgun Wedding: Cirque Cabaret and Kliffer Entertainment’s Mixed Company. 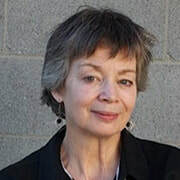 She also performed this past summer’s Toronto Fringe Festival in Hexen, which was a product of her own company, The Creation Coffin (with Evelyn Long). She enjoys theatre creation of all different kinds: from weekly dramaturgy sessions with The Hamletmachine Collective to weekly Improv classes at The Second City. Marley was born and raised in the Niagara Region and is represented in Toronto by Colin McMurray & Associates. Cassandra is a graduate of Brock University. This is the second time she has taken part in the New Ideas Festival and is very happy to be a part of Watch Me Drown. She’s very passionate about acting and hopes to continue to challenge herself in the future and expand her craft to become a stronger actor and tell more compelling stories. Adam is excited to be returning for his third New Ideas Festival! He would like to thank the Alumnae Theatre and everyone involved for supporting new theatre works and his mother and family for their love and support. 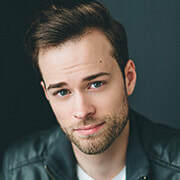 Selected roles include Warner Huntington III (Legally Blonde, Lower Ossington Theatre), Sky Masterson (Guys and Dolls, Wavestage Theatre), and Peter (Katherine and Peter, InspiraTO Festival). 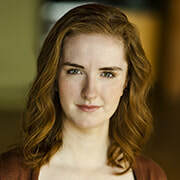 Marissa is an actor and producer hailing from the northern shores of Lake Superior. 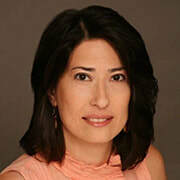 She is thrilled to continue working with Alumnae after producing the mainstage production of Omission in the fall. Recent credits include Marina in Pericles Prince of Tyre, Lucy/Aunt Glegg in Mill on the Floss (Theatre Erindale), and Lucia in The Long Christmas Dinner (Beck Festival). 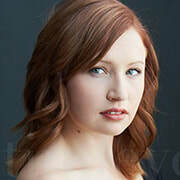 Marissa is a recent graduate of the University of Toronto and Sheridan College’s joint theatre specialist program. In 1913, English archaeologist Gertrude Bell returns triumphant from an arduous journey to the Fortress of Hayyil deep in the Arabian Desert. An extraordinary woman is poised to play a decisive role in the future of Mesopotamia, with lasting repercussions for the Middle East today. 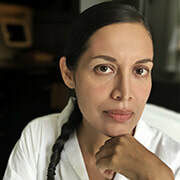 Mona Zaidi is an award-winning writer/director with a diverse background in film, theatre, animation, and interactive media. Her 2017 adaptation of Shakespeare’s Richard III was awarded “Best Film” at the 2017 Shakespeare Film Festival, chosen by five-time Academy Award nominee Sir Kenneth Branagh. Mona’s most recent project is a series of hybrid film/stage productions adapted from the masterworks of world literature. 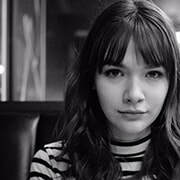 Hannah is a dramaturg and performer new to Toronto. She has worked as a dramaturg in Victoria, Halifax, and Glasgow. She is thrilled to be a part of Mirage. Fallon is reading the role of Gertrude Bell in Mirage: The Arabian Adventures of Gertrude Bell. Previously, Fallon’s notable roles include Audrey II in Little Shop of Horrors and Dracula’s Bride in the British pantomime Pantostein for the Copenhagen Theatre Circle in Copenhagen, Denmark. Still very much new to the acting stage, Fallon is, however, a veteran musician and singer who started touring at the tender age of 14 and has played shows around the world with acts such as Ozzy Osbourne and Queens of the Stone Age. Rosey started her acting career in Britain, starring in a variety of short and independent films and plays. Recent credits in Canada include award-winning short films A Voice from the Shadows, Invisible, and Rencontre, and principal roles in several TV series. She recently won the award for Best Female Performance at the TAPFest Film Festival. the Witch in Into The Woods (HHT), Ursula in The Little Mermaid (LOT) and Lady Macbeth in Macbeth (SCC). May is a Syrian-Canadian actress and writer with a passion for theatre and storytelling. She has a background in Shakespearean theatre and was featured in the 2017 Arabic language film The Truth. 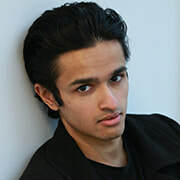 Arun is a Toronto-based actor. Selected credits include Jason in Medea (Antique Fables Theatre Collective), Nathan in The Hungriest Woman in the World (Pencil Kit Productions), Russel in Subway Extension to the Mariana Trench (Paraphrased Productions), and Ben in Or Not To Be (New Ideas Festival 2017). He is very excited to return to the New Ideas Festival this year as a part of the talented cast and crew of Mirage. He hopes you enjoy watching this preview of a fascinating project in development! his debut in the New Ideas Festival. This will be the third original production that Ethan has worked on as an actor since graduating theatre school (Context and Charlie: Son of Man both by Echo Productions were the first two). 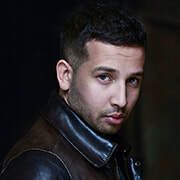 In addition to acting, he has also worked as a writer on the scripts of several original works in Toronto (Embark by Pinewood Productions and Suitcases by Rosanna Saracino). Sean has been doing theatre since he was twelve and film for over ten years. He has learned from the likes of Dustin Hoffman, Carl Weathers, and Bruce Willis’s stunt double. He has performed in award-winning projects and continues to work in the industry today with more than a dozen television shows and films being prepared for release in 2018 and lots more on the go, including projects he is producing himself. 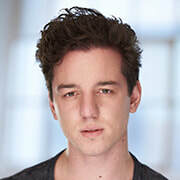 Matthew is a fourth year actor, born and raised in Toronto. Matthew got his start in theatre, but has worked exclusively in film and television over the last few years. In his return to the stage, Matthew will be playing T.E Lawrence in this year’s performance of Mirage. Erin is very excited to be a part of Alumnae Theatre’s New Ideas Festival and Mirage. 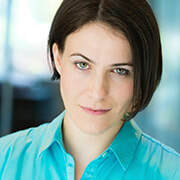 Her other theatre credits include Breathing Corpses (Coal Mine Theatre), which was nominated for a My Theatre Award for Outstanding Ensemble, Bombers: Reaping the Whirlwind (4th Line Theatre), A Midsummer Night’s Dream (NonExistent Theatre), 25th Annual Putnam County Spelling Bee (Hart House Theatre), and A Wake for Lost Time ([elephants] Collective). Erin is extremely passionate about new and inclusive theatre and can’t wait to share this piece. Raina Shepherd has lost her grip on reality following a recent tragedy. When her brother Daniel and son Griffin come to her aid, what unfolds is a number of searing revelations from their pasts that rock this fragmented family to the breaking point. Romeo is a graduate of York University with a Bachelor of Fine Arts in Creative Writing. His screenplay Play Ball was a winner of the Kairos Prize in Screenwriting and was optioned by Pâté Productions. Screenplays Who Is Molly Steele? and The Great Surrender were finalists in the Chronos Prize in Screenwriting. His plays include OverTime (Toronto Fringe), Blue (The Village Playhouse) and Stillborn (Annex Theatre). He has written and directed seasonal theatrical productions, creating shows from the ground up. Romeo is the artistic director of Studio Speranza. On his website (www.studiosperanza.ca), he blogs about writing and productions of his work. Liz is an actor, director, and playwright. 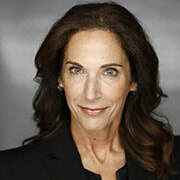 She has appeared in commercials, film, television, and theatre in Canada and the United States, including two seasons on City TV’s Meet the Family, for which she was nominated for a Canadian Comedy Award for Best Female Performance in a TV series. 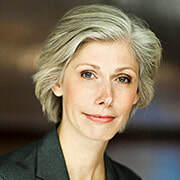 She has directed for Scarborough Players, Encore Entertainment, Alumnae Theatre, and Marion Abbott Productions. Liz’s play The Bay was performed at Alumnae’s Big Ideas 2016, and her play, Surrender, Dorothy was part of Alumnae Theatre’s Fireworks Festival 2017. *Liz Best appears with the permission of Canadian Actors’ Equity Association. Jane’s career as an actor, singer, and composer spans thirty+ years. Highlights include touring her solo show, Disco Goalie, to sold-out houses across Canada, and two Dora nominations as a performer. She participated in multiple play-development workshops with Nightswimming, which led to her work in Blue Note (Harbourfront HATCH), Lake Nora Arms (SummerWorks), A Wolf in the Voice, and These Are the Songs That I Sing when I’m Sad, which premiered at Boca Del Lupo in Vancouver, February 2017, and is returning there March 2018. (sadsongs.ca) Jane directed and dramaturged Romeo Ciolfi’s Blue (Village Playhouse) and Jane Moffat’s Gink (Toronto Fringe). Myriam is a writer, director, and art director based in Toronto. 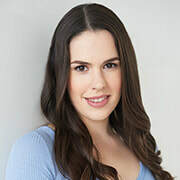 She’s a recent graduate of Toronto Film School’s acting program and has since switched gears to focus on the production side of the film, television, and the theatre industries. Myriam has worked as an art director and assistant director on an array of short and feature length independent films, and is currently writing a play she will be directing at the end of this year. 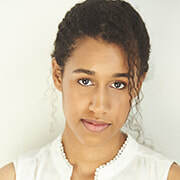 Alexandra is a graduate of the American Academy of Dramatic Arts (Company 2011). She was most recently seen at the Alumnae Theatre in This Will Be Our Last Transmission (Fireworks Festival, 2017). NYC theater credits include When the Party’s Over (Planet Connections Festival, Best Actress Nominee), Macbeth (Aquila Theatre) and Kutsukake Tokijiro (Flea Theater). Film: Dim the Fluorescents (LaRue Entertainment, Slamdance 2017 Jury Prize), Cave Small Cave Big (Joële Walinga), The Feed (TonMan Productions), and Dogmouth (Dogmouth Productions). Television: The Blacklist (NBC). Anton grew up with a fine arts background. He began learning the violin at age five, attended theatre programs at Young People’s Theatre, and graduated from the Etobicoke School of the Arts (ESA). 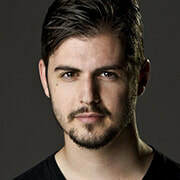 He studied music and musical theatre at ESA, which led him to pursue acting and complete the Theatre Performance program at Humber College in order to refine his craft. While he currently pursues his goals as an actor and musician, he also practices Contact Improvisation and Contemporary Dance. This is Anton’s first time performing in the New Ideas Festival with Alumnae Theatre, and he is most grateful for the opportunity. 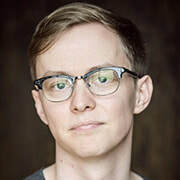 Steven is a recent graduate of Humber’s Theatre Performance program, where he performed in and co-created To Me in Ten Years (directed by Richard Greenblatt), The Clowns (directed by Dean Gilmour and Michele Smith), and Delete After Death (TALKALOT collective). 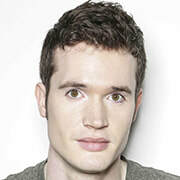 He studied clown with Dean Gilmour and Michele Smith, and acting with Diana Belshaw and Tatiana Jennings. 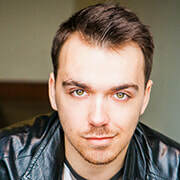 Since graduating from Humber, Steven has performed in Massimo Pagliaroli’s Inch of Your Life: Episode 1, as well as co-founded Hole In The Wall Theatre Company. 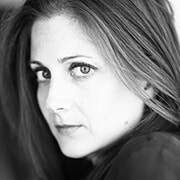 Michele’s theatre credits include The Crucible and Lend Me a Tenor (Alexander Showcase Theatre). She did a nine-month run as Sister Terry in the Vancouver production of Tony n’ Tina’s Wedding. She has also appeared in a couple of short films and done some TV.